1. To what news topic does this cartoon refer? 2. What is meant by the term “the Man”? 3. Define the irony in this cartoon. 2. 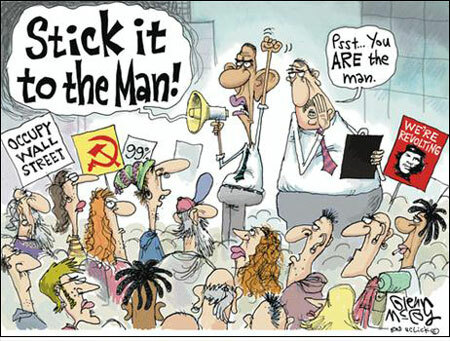 The term “the Man” is a slang phrase referring to the government or to some other authority in a position of power.